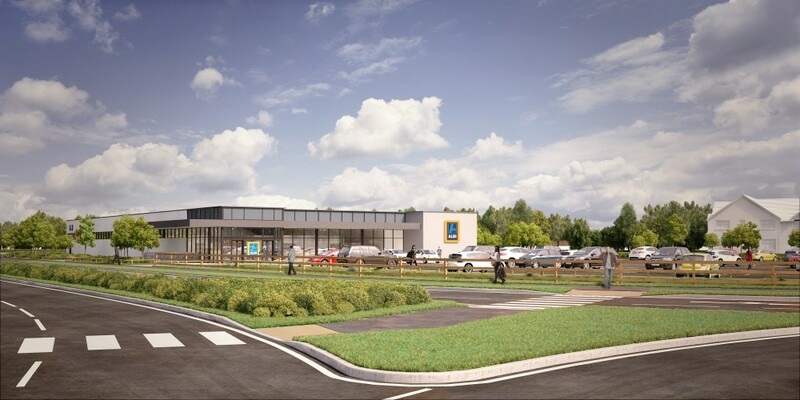 Planning approval has been granted for a new Aldi store on the Harworth Estates’ Logistics North site at Bolton following an application submitted by planning consultant HOW Planning. The 20,000sq ft modern, high quality store designed by The Harris Partnership will also serve as Aldi’s national training store, linked to the national training centre at the nearby Bolton Regional Distribution Centre also located on the Logistics North site and play a significant role in Aldi’s national expansion programme. The store represents a significant investment by Aldi in Bolton where it will create in the region of 40 new jobs.